Thanks to my friend Gail (whose PR clients are the Bentgo lunch guys), today I spent the day up in L.A. at a beautiful home with a great kitchen for a shoot of some fun Bentgo products in the works. More to come on this at a later date! Or you can always procrastinate and buy it full price at Crate & Barrel (one of the many fine retailers that sell Bentgo lunchbox sets) at a later time. I love my set (I got one in blue, but they’re also available in gray, fucshia (purple), and lime green). 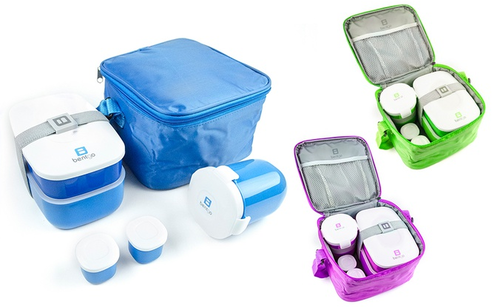 It inspires me to pack a lunch and picnic somewhere! For more information, visit www.bentgo.com.